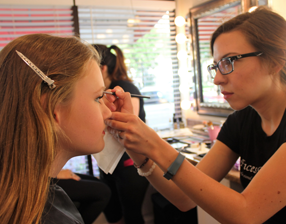 Your next step starts here as a professional media makeup artist. 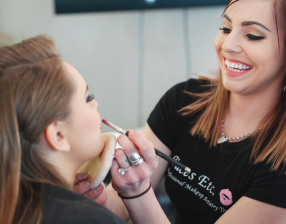 Connect with Minnesota’s only state licensed media makeup school. 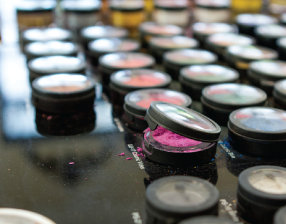 Our cutting edge education will prepare you for a wonderful CAREER as a multi-media makeup artist for film, television (HDTV), fashion, beauty, bridal, runway, video, and print. Faces Etc of MN teaches you the finest in craft and skill in the “usually exciting, sometimes challenging, but always rewarding” life as a freelance media makeup artist. Available for licensed salon professionals – acquire the skills and techniques required to increase salon profitability and begin marketing business to a larger audience. If you are dreaming of a new career, we can help! Faces Etc of MN, is the ONLY Licensed Post Secondary Career School, approved by the state, to teach Multi-Media Makeup Artistry in Minneapolis! We provide state-of-the-art makeup education, courses, and classes to students interested in working in the world of multi-media makeup (film, HDTV, print editorial, fashion, bridal, corporate, music videos, runway, new media and SFX,) as a freelance media makeup artist. “…a wonderful, life-changing experience.” – Andrea S.
Join the Faces ETC newsletter! 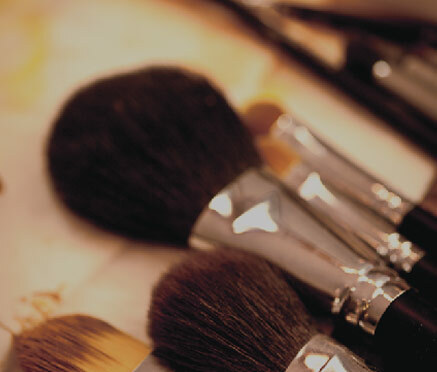 Become part of an elite group and enter the world of professional makeup artistry. New classes start monthly so schedule your free tour and assessment today.